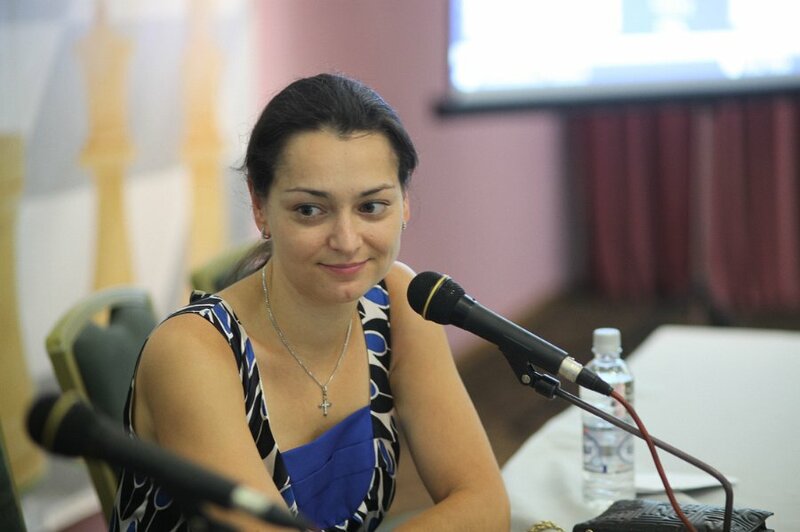 The former World champion and Ambassador of the SportAccord World Mind Games, GM Alexandra Kostenuik from Russia crowned a successful performance and even won the last game of the rapid tourney against Yelena Dembo. She became the first female winner of this very interesting competition. Finally, she scored 6 points out of 7 – what a brilliant result! She had an overall performance of just under 2600. We have to mention, that this year was not the best in her career – so, we welcome this “comeback” of Russian player. Katerina Lahno from Ukraine scored 4,5 points and was 2-nd because of better tie-break. Nana Dzagnidze (GEO) and Ju Wenjune from China had the same result, but the Georgian player was happy to be 3-d for the same reason. Women World Champion, Hou Yifan got bogged down in draws and as sport is so unpredictable, we could not have had more interesting results. China, which was tipped to take the Gold medal in the Women ended up with a Gold medal in the Men and no medal in the women. The top men seed ended bottom in the final men's ranking where as in the women's competition the bottom seed ended up winning! We are grateful to all the players and the organisers for this great show. Tomorrow, we expect other great battles during the blitz competition. The beginning of the tournament at 16.00 local time.